Calling all investors and Cal Poly parents! This delightful home is ideally located just blocks from the university and minutes from downtown San Luis Obispo. The home presents four bedrooms and three full bathrooms in an open floor plan spanning 2,022 square feet. Features include ceramic tile flooring throughout the main level, a gas fireplace in the living room with tile surround, and a private backyard with covered patio and low-maintenance turf. The kitchen offers recently upgraded cabinetry and appliances, peninsula with bar seating, nook for additional seating, a large double basin sink, and Formica countertops. Additional highlights include a clean, neutral color palette throughout, a balcony off the master bedroom to enjoy the Central Coastâs wonderful climate, and an attached two-car garage with storage. 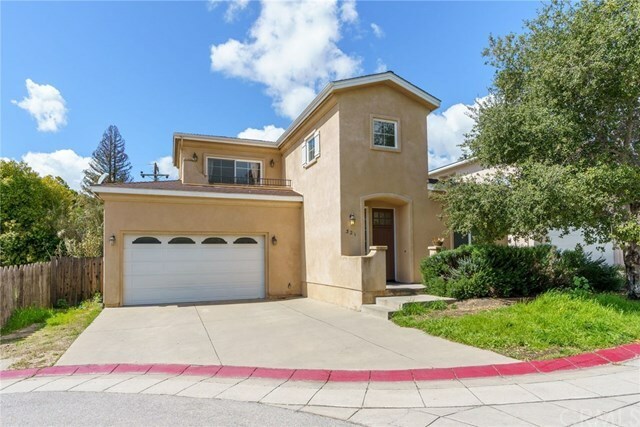 You wonât want to miss out on this lovely home in a highly sought-after area of San Luis Obispo.